Many people add Scotland to their list of places they want to go. Who doesn’t want to explore castles? See beautiful (cold) beaches? Swim in lochs and hear tales of loch monsters and men who write great poems. There are other things to do in Scotland that are completely hidden gems, and here you can find out about five towns in the South of Scotland which are worth a visit. 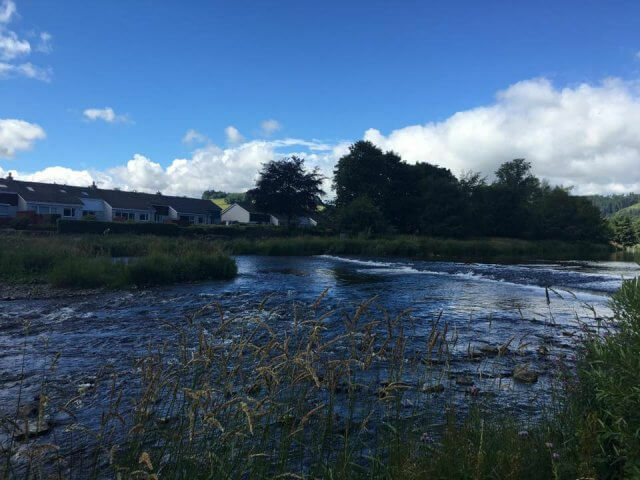 Innerleithen is named this way because of the beautiful Leithen river which flows through the town. It is a small town of approximately 2600 people. This small town has eight bars which makes it a great places to enjoy a pub crawl, without too much crawling! The town also offers some of the most popular mountain biking tracks in the whole of the United Kingdom. People travel hundreds of miles every weekend to come and tackle the Red Bull hill and nearby Glentress. While in Glentress try the amazing tree-top climbing adventure course at Go-Ape or spend the night sleeping in a teepee. Fancy somewhere better to stay? We love the Tweedside Hotel and would never pick anywhere else. Biggar is in Lanarkshire, making it bang in the middle of Glasgow and Edinburgh. It is easy to reach by bus and trains from either of these places. Biggar is a delight for the foodie traveler boasting more award-winning eateries in one town than we have ever witnessed anywhere else. Enjoy famous ice-cream, popular fish, and chips and the most exciting pick of baguettes you can see in one place. There are plenty of hotels but there is also a great family-friendly caravan park for those looking for something a bit more exciting. Peebles is a very charming and pretty little town south of Edinburgh. You can take a bus here for a day trip or even spend the night, or more, there. Some of the most spectacular hotels you will ever come across are in Peebles. Check out the Hydro Hotel for absolute luxury that cannot be matched anywhere else in the area. The Royal family even make trips to this picturesque town in Scotland because of what it has to offer. If it is good enough for the Queen and Princess Anne, it is good enough for us too. Shop at any of the beautiful gift stores for unique and pretty presents, or take a stroll along the River Tweed and snap some beautiful pictures. Galashiels is the hub of the Scottish Borders. Offering many shopping opportunities Galashiels is often buzzing with people all week doing their weekly shop or buying the newest clothes for a night out at the bars at the weekend. Visit the Market Square, but do not be fooled, there will be no market here. What you will find though is the lyrics from the famous song Kayleigh by Marillion as the song was actually written about this exact spot in Galashiels. Take a walk around town and visit the Gardens and enjoy a picnic with them on a nice day. Enjoy the view of the water fountain nearby and then go get tattooed by the amazing artist Ailsa in 119 tattoo parlor. 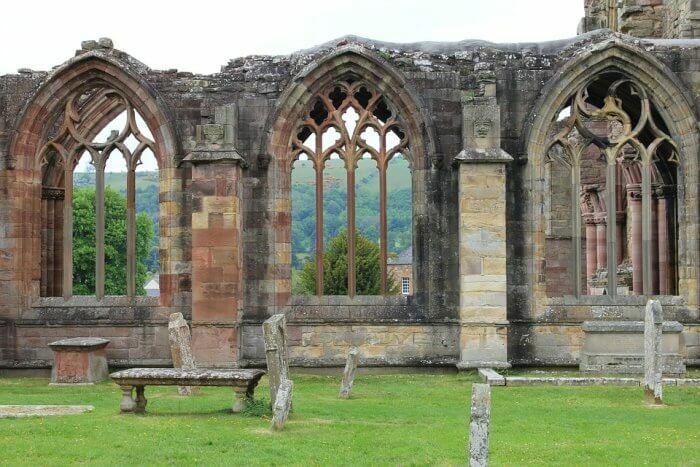 Enjoy some real history in this Scottish town as you explore the Melrose Abbey which was founded in 1136. These impressive ruins were disestablished in 1609 but still stand today to be explored and photographed by adventurers. The Abbey is huge and well worth the small cost to enter. 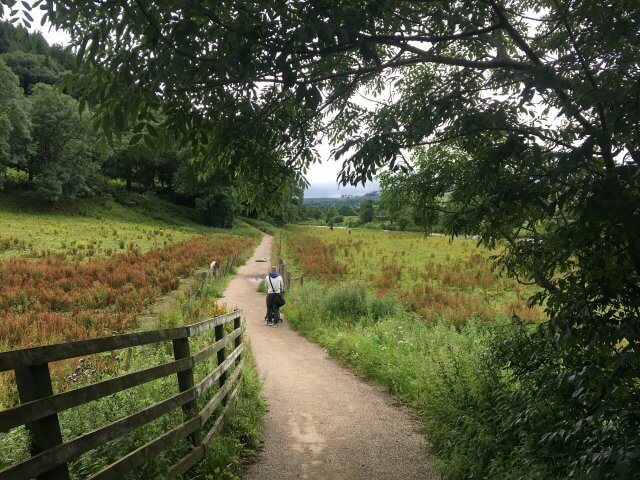 Melrose is a beautiful place to explore for a few days, laying nearby the Eildon hills, it is approximately 1 hour and 30 minutes south of Edinburgh. If you are staying in Edinburgh you can easily visit any of these towns in the south of Scotland by using public transport, but it is best to hire a car to make the most of your time here. Make sure to check out what there is to do nearby, to make sure you do not miss out on anything spectacular! Natasha is a travel blogger at Meldrums On The Move. She writes about family travel and does destination guides too. PrevWhat Is the Reason for the Muscle Too Weak?